Due to popular demand, House of Forgings is pleased to present two new profiles to compliment our Aalto Collection, diamonds! 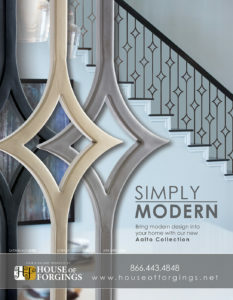 We now offer these affordable tubular balusters in three of our most stylish powder coated finishes: Satin Black, Ash Grey and Dorado Gold. 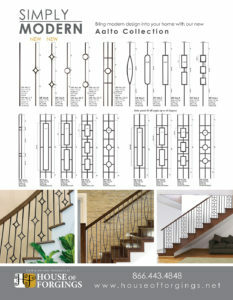 Whether your preferred style is Modern, Contemporary, Transitional or Traditional these classy balusters are sure to enhance any stair or railing. Contact us for pricing and more information. Take advantage of Black Friday savings on all Satin Black parts now until the end of the month! Offer excludes specially priced items or other sales.